If you’re crafting an herb garden that’s gorgeous as well as practical, this is one variety to have. Purple Dark Opal Basil (annual) has been praised since 1885 for its deep purple leaves, red stems and lovely lilac flowers. Perfect in salads! CERTIFIED ORGANIC. 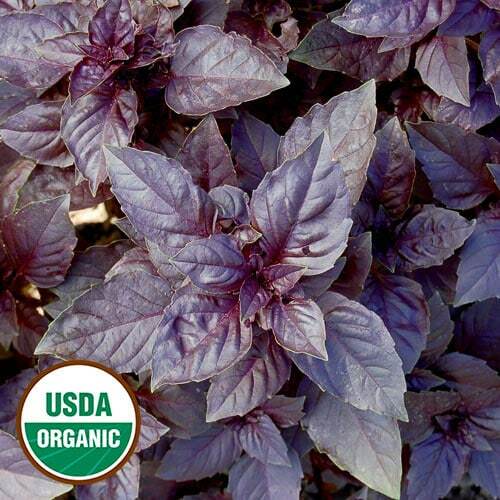 Here are our best tips on How to Grow Basil, too! Each packet contains approximately 250 seeds. 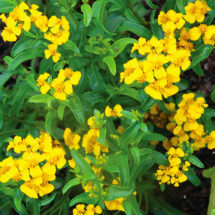 Grows equally well in garden beds or containers and prefers full sun, regular water and fast draining soil. Sow indoors 4-6 weeks before the last frost date in spring. Lightly cover and keep planting trays warm. Seedlings can be moved outside after all danger of frost has passed. Space 6-12 inches apart in all directions. Plants are ready to harvest when they reach 6 inches tall. 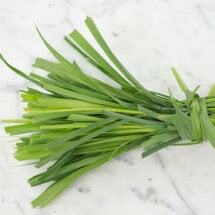 For best flavor, pick leaves in the early morning when aromatic oils are at their flavorful best. Use fresh or freeze in plastic bags. Dry by hanging bundles upside down in a dark, well ventilated room and store in airtight jars. 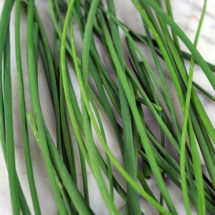 Bright green leaves and attractive flowers make chives a cool-season favorite. Compact plants have beautiful glossy leaves with small orange flowers. Ornamental grass-like stalks grow to 4-feet tall and look nice in borders. 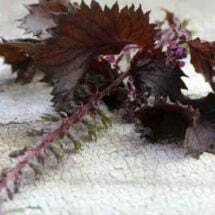 A beautiful plant with dark red, flavorful leaves. Very popular in Asian cuisine.